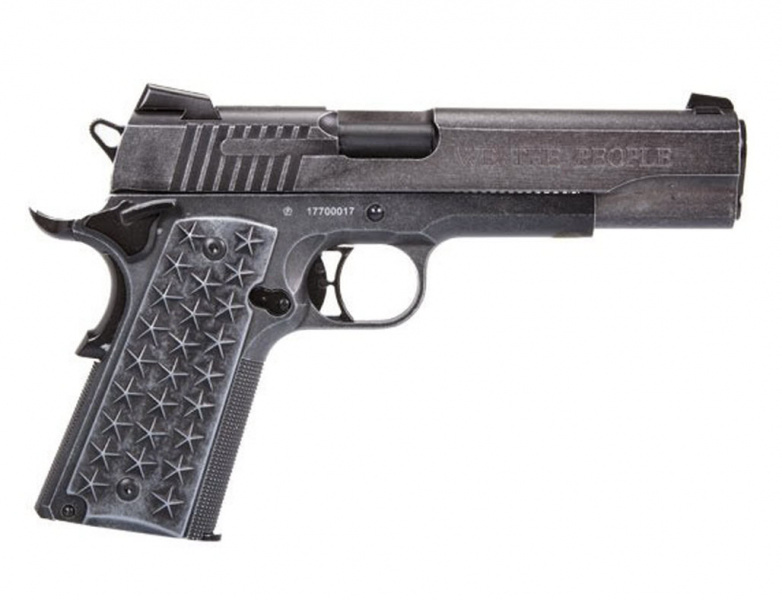 SIG SAUERS NYESTE 1911 CO2 BB-PISTOL ER EN EKTE FULL STØRRELSE KOPI AV SIG 1911 WE THE PEOPLE SOM LAGES I KALIBER .45 ACP, DETTE ER EN AV DE MEST REALISTISKE & EFFEKTIVE TRENINGSLUFTSPISTOLENE PÅ MARKEDET I DAG. 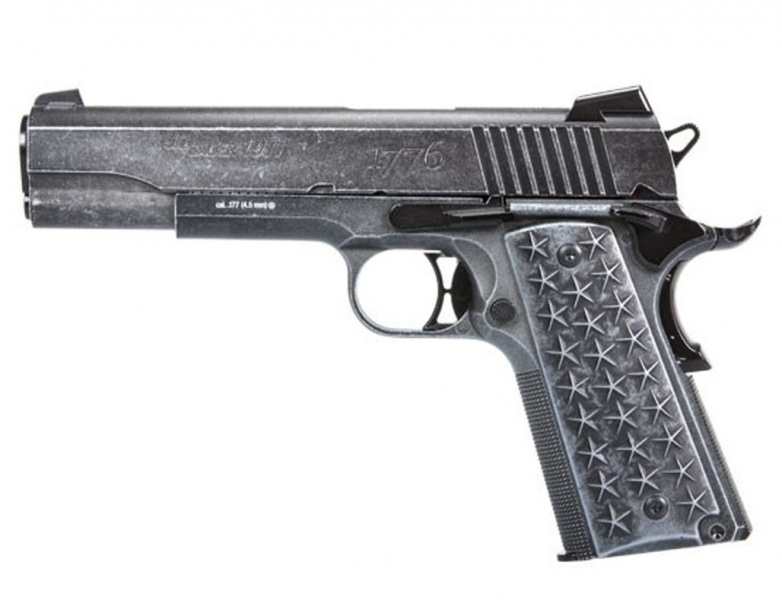 SIG 1911 FULLMETALL PISTOL, OG HAR SELVFØLGELIG BLOWBACK FUNSKJON. SLEIDEN LÅSER SEG I BAKRE STILLING NÅR SISTE SKUDD ER SKUTT. CO2 PATRONEN OG KULENE SITTER I MAGASINET. PISTOLEN FUNGERER OG DEMONTERES SOM DEN SKARPE UTGAVE I KALIBER .45 ACP, SÅ DEN ER SÅ LIK ORIGINALEN SOM DET GÅR ANN Å KOMME. 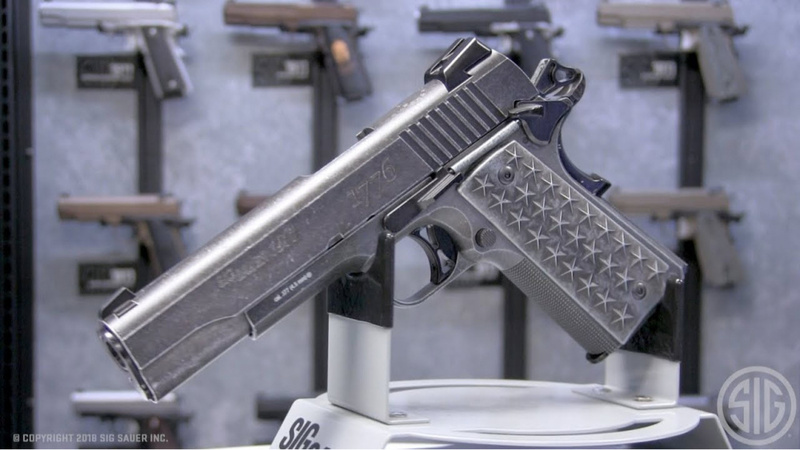 Modeled after the exceptionally popular 1911 We The People full-size centerfire pistol, which is inspired by a rich, patriotic history, the BB pistol version of this uniquely-American handgun features the same custom grips adorned with 50 stars (25 per side) that represent each state of the Union. A distressed finish on the stainless-steel slide and frame includes patriotic engravings, such as 13 stars atop the slide and “We The People” and “1776” on the slide flats.